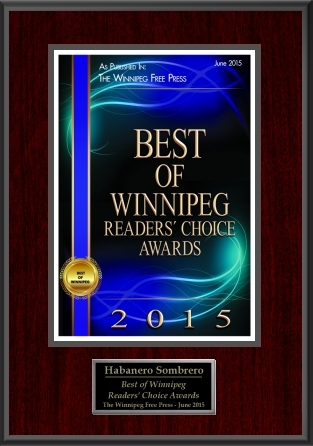 Habanero Sombrero is proud to announce that we were voted Number 2 best food truck in the Best of Winnipeg 2015. What does this mean? You need to come try us out! If you dont believe it, check out the hardware! 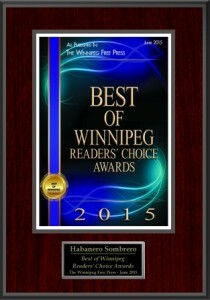 Thank you so much to all those who voted for us. We cannot thank you enough!